A note from the editors: Lisa Welchman’s Managing Chaos is a book about governance—about how to establish and follow through on the strategy, policy, and standards necessary to keep your organization running smoothly on (and off) the web. We’re pleased to bring you this excerpt from Chapter 5 of Managing Chaos . Buy the book from Rosenfeld using the code “chaos” and save 20 percent. I grew up in Columbia, Maryland, a planned community (see Figure 5.1). And as with the word “governance,” people tend to react to the phrase “planned community” in a not-so-positive way. “Planned” sounds dull and uncreative to people: cookie-cutter homes, on cookie-cutter lots, on cookie-cutter streets—“Little Houses Made of Ticky Tacky,” to invoke Malvina Reynolds’ well-known song. And Columbia was all about that: a city built quickly based on a template. There were street naming conventions, standard model homes, standardized lot sizes, and a standard “village” configuration complete with strategically placed shopping and swimming pools. 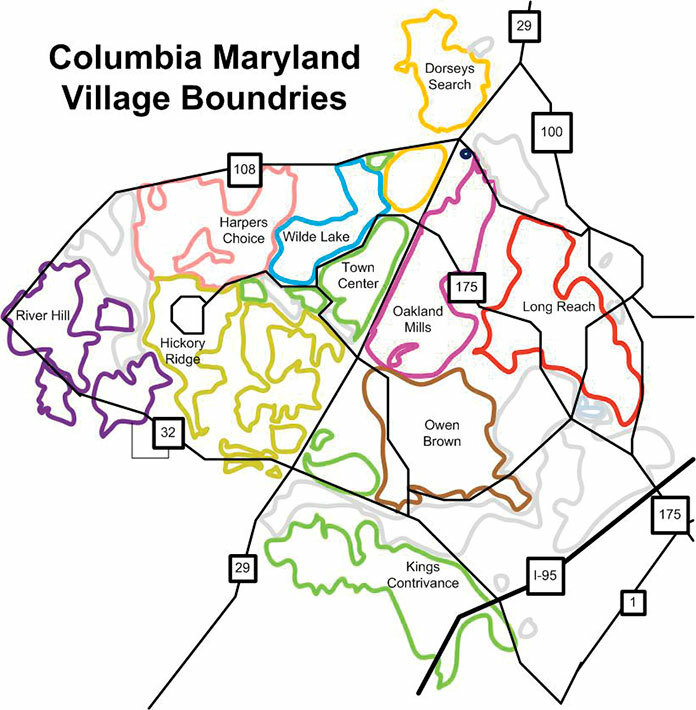 Figure 5.1: Columbia, Maryland—a planned community that opened in 1967. So what do you get when you build a city on a standards-based framework? Those who focus on the standards part like to say “boring,” “all the same,” “not diverse,” because they believe that any standardization leads to a lack of creativity or innovation. But that wasn’t all there was to it. Once you factor in the context and intent of Columbia, the picture becomes different. Columbia was one of the first planned communities intended to be racially and economically integrated. Its founder, James Rouse, had a vision about creating a place for people to live—a place that would make you feel good, a place where everyone would just get along. And there was the timing: Columbia was founded in the mid-sixties and started its initial growth spurt in the 1970s. The late Randy Pausch: The Carnegie Mellon professor who gave us “The Last Lecture: Really Achieving Your Childhood Dreams.” This one touched home, as his mother was an English teacher at the high school I attended. Michael Chabon: Pulitzer prize-winning author. I like to think that Mike’s rich writing style was informed by the literary tradition of Columbia street names. But that might be a stretch. I think he just has a gift. Dave McClure: Founder of 500 Startups and a rule-breaker if ever there was one. Aaron McGruder: Of The Boondocks comics fame; another iconoclast. Edward Norton: Okay, he’s just the grandson of James Rouse, but cool nonetheless. I mean, Fight Club , right? All this is to say that, contrary to popular belief from some of my clients, standardization does not have to give way to things boring or flat or uninteresting. It doesn’t mean that the standardized interface can’t be beautiful, or that your customer’s experience of your seamlessly integrated process that takes them from desktop to mobile to call center won’t be sublime. The belief that standardization necessarily leads to the boring and uninteresting is too simple. It’s what’s going on inside the structure that is important. You could have a beautiful, old, organically grown, charming town with nothing creative going on for it except that it looks good. Or you can have tract housing turning out really interesting people, music, and thought. It’s all about the substance and interactivity of the interior. What comes out of a community, planned or unplanned, is really contingent upon the intention and people within it. So, if you’re going to take the time to establish and implement a standards framework, it had better be around the right intention. And that intention is expressed through your digital strategy. Your standards are the tactical manifestation of your strategy that will bring into existence the intent of your digital strategy. That’s why organizations that have no real digital strategy struggle so much with coming up with a quality online presence and why their digital team spends so much time arguing and debating about standards. In the absence of clear business intent, standards can be left up to a matter of taste and debate. So, if you are undertaking to develop standards without first having defined a digital strategy, you may develop a standards compliant website and have consistently moderated social channels. But your digital target will likely not resonate as well as it could with your customers. Only standards derived from clear vision have the capacity to create a high user experience and deliver on the mission of your organization. I was lucky. I learned early that standards could enable rapid growth and provide a framework for coherent development, all the while creating a space for real creativity. Standardization can be, and often has been, the platform for creative and important work. But I’ll go further. Standards, in fact, might be an essential ingredient. Standards frame and limit what you can do so that you can get across a certain message or get a particular piece of work done. And that’s the message you should carry to digital teams who are reluctant to adopt a standards-based framework. Likewise, you can have a World Wide Web operating within the open standards of the W3C with the whole of humanity trying to express itself freely and creatively, or you could have something else, like an Internet and Web controlled by a few businesses and political interests. It’s about clarity of intention and the quality and sustaining quality of your implementation. It’s about having a vision and figuring out how to make it happen and holding true to your aims and your standards. In an ecommerce environment, standards make sure that the right content gets to the right customer at the right point in the sales cycle. For example, it’s good for customers to know that whatever they are buying on a site, the sales checkout process will be the same. And it makes customers more comfortable knowing that whether they are purchasing a pair of trousers or a jacket, they will still have the same interface for toggling between garment color choices. In addition, it doesn’t just make the user’s task easier to accomplish, it also takes stress off internal digital workers. Adopting a standards-based framework takes the stress out of development. When you have standards in place, more time can be spent having conversations about the substance and purpose of the work that is to be done instead of arguing about the details of execution or who has the authority to make decisions about application coding standards or a graphical user interface. Standards have been defined and documented. Standards have been effectively disseminated to all digital stakeholders. Standards compliance is measured and managed. Figure 5.5: Creating a standards-compliant environment. The reason why most organizations have trouble with standards compliance is because they miss or incorrectly address these activities and then are only left with one alternative—to enforce (usually undocumented) standards after the non-compliant content and applications are already posted (or nearly posted) online. This reactive dynamic can lead to a stressful dynamic for digital teams. Too often, the core digital team is perceived as the last-minute bad guy, telling teams that the look and feel isn’t right or that the flow of the application screens is unusable. The core digital team shouldn’t be in the position of having to ask their colleagues to remove content and applications that might represent weeks or months of effort. In the best of cases, the organizational standards steward is not an enforcer, but someone who is able to create an environment where bad things don’t get online in the first place. Let’s take a look at what the standards steward does to make that happen (see Table 5.1). If you want your extended digital team to follow your standards, it’s important to write them down. This might seem self-evident, but many organizations, when asked, are unable to produce documentation of the standards that they claim their stakeholders will not comply with. This “I’m an expert, so do what I say” dynamic is hardly fair to digital stakeholders because these stakeholders often have some digital domain expertise and are heavily impacted by the business outcomes of their online efforts (so they are informed and they have a vested interest). Here are a few things to keep in mind when documenting standards. Develop a standard for documenting standards. The first standard you should define is the structure you will use to document your standards. Having a consistent format for standards will allow your digital team to be able to access the information more efficiently and will enable you to consistently cross-reference standards. You also want to consider the platform you will use. A wiki can be a good platform for documentation. It allows for revision and version control and can be accessed by multiple standards authors. Some standards can also be integrated with various digital production systems [like a Web content management system (CMS)] so that the standards appear in the context of a workflow. For instance, there might be ready access to editorial and design standards within the context of a text editor in a CMS. Determine what should be a standard. There is almost an endless list of standards that can be defined. It’s important to figure out which ones are most relevant to your organization. For instance, if your organization is getting ready to ramp up on mobile, standards related to responsive design might be important. Or, if your organization’s aim is multichannel content delivery, component content authoring standards might be a priority. Sometimes organizations will place high priority on documenting standards that have caused a lot of debate, such as graphical user interface or information architecture. Let your own organizational dynamics drive the standards prioritization process. Leverage what you already have. The standards steward will also need to understand what standards your organization has already documented or where a digital standard can be largely informed by an already existing standard. Brand guidelines, style guidelines, applications development protocols, compliance mandates, and records management schedules are examples of information that might help inform or greatly impact the substance of your standards. It’s important to perform an audit and detail what information exists and where it is. That way, when standards authors sit down to write standards, you’ll be able to reference relevant standards easily and consistently. A common problem in digital teams is that they’ve often forgotten that their internal digital stakeholders are users as well. Typically, the experience of accessing and understanding digital standards for internal users in organizations is very low. For example, if you are a digital stakeholder trying to understand the rules of development for your organization, you are probably not interested in browsing through a beautifully designed PDF of a style guide. You just want to find the information quickly so you know, say, what font color to use for a visited link reference. The digital standards steward can help facilitate that information by being more strategic about standards dissemination. Tell people about the information. If you have established a digital community of practice (CoP) inside your organization, be sure to discuss new standards and standards revisions as they arise. Frequently, resources aren’t told that a standard has changed until the standard is violated. Digital CoPs are effective because they bring together all the people in your organization who work with your digital channels. As you’ll see in Chapter 8, “The Decision To Govern Well,” these communities are ideal for sharing information and for training. Web- or Intranet-enable your standards repository. It is essential to produce standards in Web-ready format. Often, digital standards are authored in word processing applications or published as large PDF files. Instead, organizations should make an effort to leverage the power of the hyperlink, making it easy for stakeholders and developers to click through to corresponding and related digital standards (and policy) to get the whole picture. Sometimes, there may be standards that individuals would not typically seek on their own, but might be relevant to their work at hand. Digital standards stewards usually feel that their job is complete when they have documented the standards and placed them online. In reality, their job has just begun. The real work lies in ensuring that the standards are implemented. Use tools. When possible, an organization should use tools to implement and ensure compliance with digital standards. If content contributors and developers must build through a narrow standards-based gate in order to get their content on the server, it’s less likely that you will end up with “rogue” or non-compliant content and Web pages. You can help support the implementation of standards for visual design page structure by establishing templates in a Web content management system. For example, you can raise the quality of writing by implementing an editorial review process and workflow. If you have certain metadata tagging requirements for an online catalogue, you might implement a sophisticated auto tagging system. This is a straight gate and narrow way, however, and not all outcomes can be achieved via tight constraints. Certain standards, particularly some editorial and design standards, need to be implemented via other means, such as employee training and education. Training and education. Not everything that is a standard can be implemented with a tool. Certain editorial concerns, for instance, might require training from internal or external experts. Many teams have found value in providing education for areas like writing for the Web or graphic design for the Web. You often won’t get 100% standards compliance with training and education. People are unique, and they will interpret standards in different ways. At the end of the day, this means that you need to staff your digital team with the right people and trust them to do their job correctly. Hopefully, if you have defined, disseminated, and implemented your standards well, compliance will be high. Still, websites and intranets are large, complex environments. Even in the best of circumstances, standards will be misunderstood or ignored in haste. That is why it is import to measure standard compliance in a consistent and automated way. You can monitor standards through spot checks and prepublication reviews, but in a large production environment, this is often a daunting task. Implementing a website auditing tool is often helpful because it allows the core digital team to provide quantified reports on things such as broken links, terminology language use, usability, compliance, and SEO. Reporting back to stakeholders about which standards they are upholding and which they are not, and creating a plan to lead the team to higher rates of compliance, is a more positive method of standards enforcement than threats that content or applications will be removed from the server. Even after you’ve implemented your standards lifecycle, there will still be exceptions to the rule. There will be times when digital workers will want to break with the standards. And then each organization will have to determine when it’s okay to break the rules and when it’s not. These types of situation can be touchy, particularly if the resources involved in the standards breach are fairly senior in the organization (like a CEO who insists on having the picture on a homepage or wants to write lengthy, dense blog posts). In the end, these types of situations will have to be negotiated by the standards steward, authors, and the “standards breaker.” During the discussion and negotiation, it is important to emphasize how the business is being put at risk due to a standards breach and how the business could benefit if the standards were complied with. At the end of the day, you’ll never have 100% compliance, but hopefully the vast majority of your digital presence will follow the rules as defined by digital standards authors. Lisa Welchman, in her 20-year career, has paved the way in the discipline of digital governance, helping organizations stabilize their complex, multi-stakeholder digital operations. Lisa’s thought leadership focuses on interpreting how the growth of digital impacts organizations, as well as the maturation of digital as a distinct vocational discipline in the enterprise. Currently, Lisa is president of Digital Governance Solutions at ActiveStandards. Lisa began her career in digital in Silicon Valley working with Netscape and Cisco Systems before establishing website management consultancy WelchmanPierpoint, which was acquired by ActiveStandards in 2014. Lisa speaks globally on issues related to digital governance, the rise of the Information Age and the role of the information worker. Excellent article. Do you have examples of this or specific tools best to do this? Hi Mark. I’m a bit biased because I work with a company that has a software solution around checking compliance with certain standards. But, the limitations of this or any software solution around standards compliance is that it can only check for things that are machine readable and many thing digital fall outside of that. For this reason, you’ll need to enhance your toolset so that it includes not just software but also a strategy for proper standards definition and training. Put the work in ahead of time instead of after the fact. Create an environment where folks will follow standards instead of an environment where they are punished for not following them. If you make sure that you conceive of sensible standards, write them down, make sure people see and understand the information, and are properly trained to meet the standards–then compliance issues are minimized and the tool becomes a good way to monitor compliance instead of used as a punitive device. People want to work in a happy place–not one where they are always being told how bad or non-compliant their work is. If you do these things, everyone will like you. I guarantee it. I hope this helps. Hi Lisa: I’ve often hypothesized that MySpace’s demise was tied to the lack of standards dictated across profiles. Conversely, Facebook’s templated strategy more easily showcases the “intention and people within” the profile. Thoughts? Fred, I think businesses rise and fall on more than their approach to digital standards. At the same time, businesses function holistically. So, small and large trends from within can help (or hurt) the organization meet business goals. Stumbled on this article. I, too, grew up in Columbia. Walking distance of Long Reach High School, attending its first year open as a freshman in ’96. Great article. Glad to meet an old friend. This is a great piece, thanks for writing it. I find myself right now as the last-minute bad guy when it comes to standards and am trying to fix that. I wish it wasn’t an uphill journey, but it’s one that needs to be taken. The hard part for me is learning how to better communicate high the importance of high standards without being a nazi about it. Jason! Hi fellow Columbian. There was no high school in Long Reach when I was growing up so I went to Howard High. But, we grew up in the same village. You know the special bond we have. Hi, friend. Tom, if you can create that environment where compliance is high in the first place, then you won’t have to be the “bad guy” so much. As far as communicating about standards, it’s good if you can make sure that you are communicating not just for enforcement reasons, but also for educational reasons. Sometimes people really don’t understand the rationale for a standard or they don’t have appropriate help. Sometimes, non-compliance is a cry for help. Good luck!